The hand crafted Copper Drum Light is beautiful in any setting and for any occasion. Dipped in an acid bath to achieve the dark rustic copper color, the edges trimmed in copper rivets add to the beautiful detail along with the elegant scroll running to center stem. Hang over islands, in offices and over pool tables. 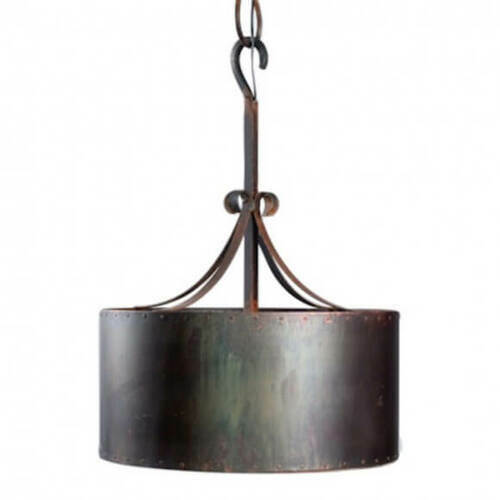 The Copper Drum Pendant is shown in darkened copper with dimensions: 20"D X 29"H.